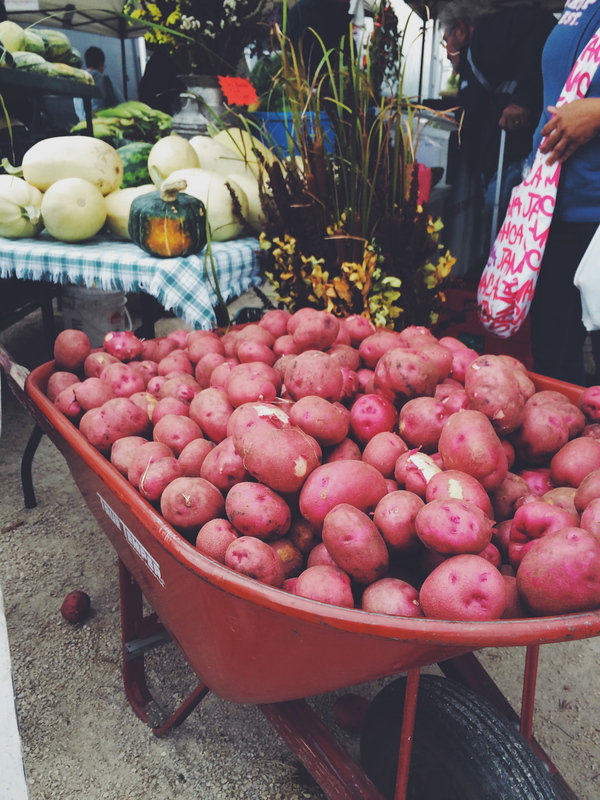 Going to the farmers market in the fall is so pretty. I picked up some fresh dill, garlic, a lovely squash, a huge bouquet of flowers, and a big bag of kettle corn. I contemplated a rhubarb pie that I'm sure we'll regret not buying right around desert time tonight. Luckily there's still a few weeks left to enjoy this fantastic market.